What happens if they go behind? It is a question that Everton fans won’t wish to consider but the answer will determine their ambitions for the season. In the space of 55 days, a campaign that appeared to be gaining momentum has horribly lost its way and the Everton team that will tackle Millwall this evening bears little resemblance to the confident one that went-to-toe with Liverpool at Anfield. It is why, with good reason, there will be trepidation if Millwall open the scoring and Marco Silva, Everton’s head coach, knows all about the Championship club’s threat, rattling out a statistic that 22 of their 29 points have come at the New Den. Everton have conceded the first goal in 10 Premier League matches and salvaged just two points, against Huddersfield (September 1) and Newcastle (December 5); they also went behind against Southampton in the Carabao Cup, which led to their elimination from that competition. The evidence – and numbers – suggest Silva’s squad lack the stomach for fight. If they want to be in the FA Cup fifth round draw, it is vital they fight. Silva does not doubt they have that quality but until they prove it, he can understand the scepticism. 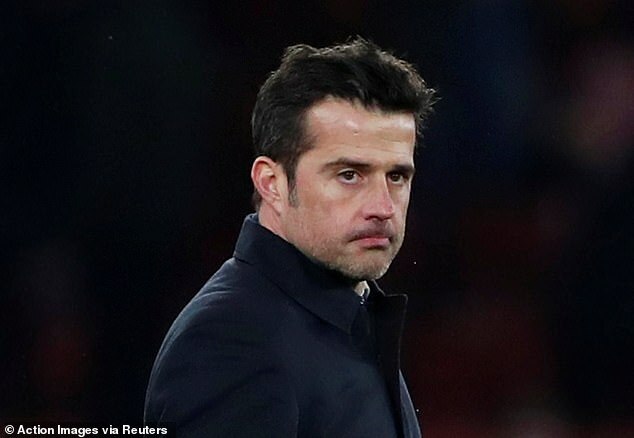 ‘If I don’t believe in the character of our players, then I am in the wrong position,’ said Silva. ‘I am 100 per cent sure of the character of our players. As a squad, we have to improve – like all the teams – and we are working on that. But I don’t have doubts about their character. It’s not so much what they deserve rather more what they crave. Everton have not been to a major final since 2009, while their last trophy was the FA Cup in 1995. For a club with such heritage, the barren spell is difficult to accept and another early elimination would be a calamity. 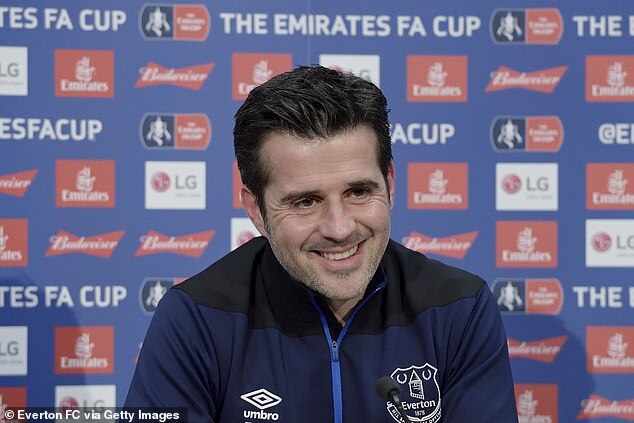 The best Everton can hope to achieve in the Premier League this year is seventh place but a prolonged run in the FA Cup would generate optimism amongst fans who have been wearied by disappointment. They don’t need anymore. 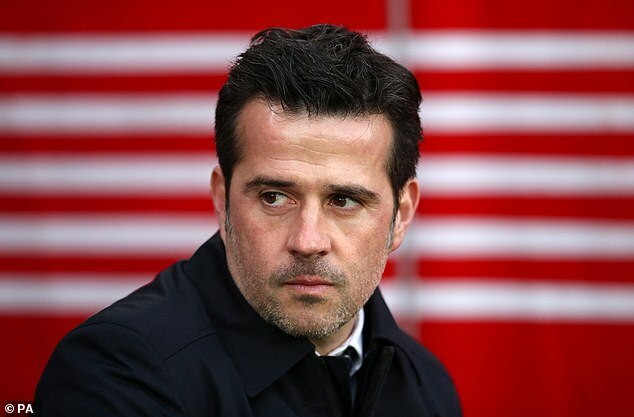 ‘One of the big challenges since we joined at the start of the season to create that connection and give them good feelings,’ said Silva. ‘It is important for them to have good feelings. I know they were not happy last Saturday (after losing at Southampton) – of course not.